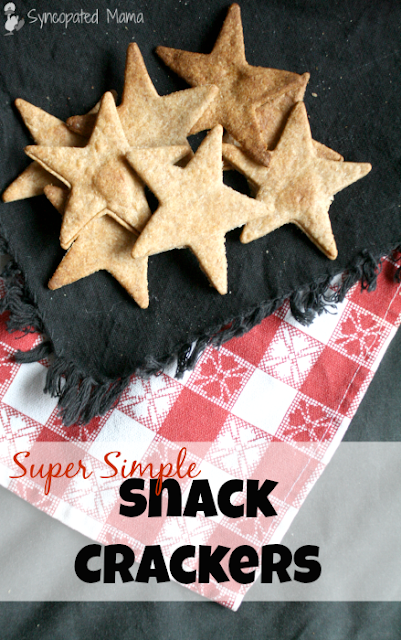 We're big fans of healthy, portable snacks around here, and homemade crackers are at the top of that list. Our favorites are these, full of sweet potato goodness, which is both tasty and nutritious, but recently I've been playing around with some other recipes that I could whip up in a snap and tailor the flavors to easily match our moods. I came up with this good, all-around cracker base that takes only minutes to make and is so flexible, you'll never run out of options for different flavors. 1. Mix up everything but the water. 2. Add in the water a little at a time - you might not use it all because you just want enough so that the dough sticks together (this makes for a lighter cracker). 3. Roll the dough out onto a baking mat (which makes homemade crackers a snap) or a cookie sheet. Usually I just score the dough with a pizza wheel, but occasionally I get all fancy and use a cookie cutter to cut out cute shapes. 4. Slide the crackers into the oven and bake them for 10 minutes at 400 degrees. 5. Flip them over and bake for another 5-10 minutes (just keep an eye on them the first time you make them, since ovens are calibrated differently, then you'll know how long to keep them in for the future). These crackers are delicious plain, but we really like to jazz them up a bit by adding in some cracked pepper, garlic (of course! ), or various herbs and spices, depending on the mood of our taste buds that day. This recipe is so versatile, I have yet to find a flavor combination that doesn't work! 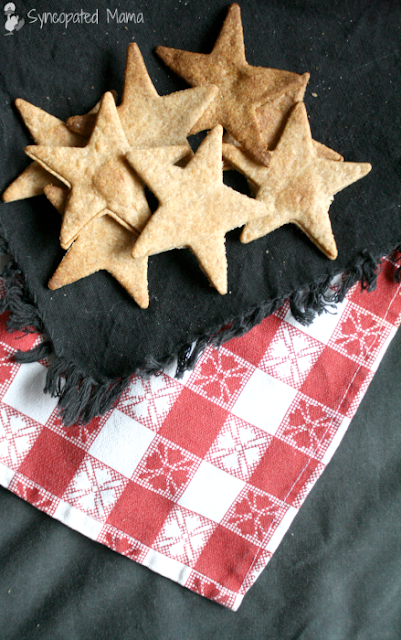 Have you tried making your own crackers yet? What flavor combinations would you like to try with these? I'd love to hear! Either leave a comment below or email me at lisahealy (at) outlook (dot) com. What goes great with crackers? Why, cheese, of course! 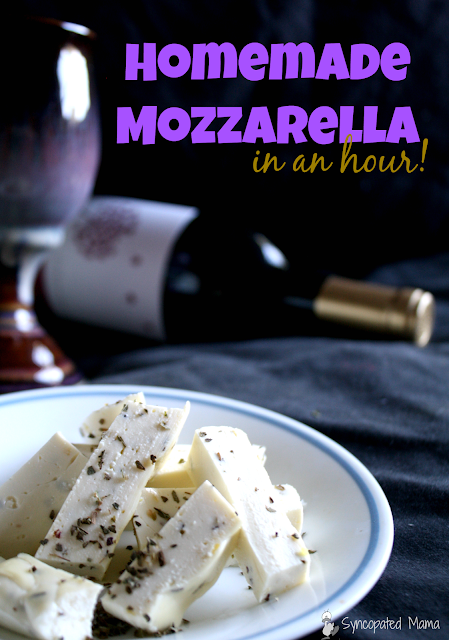 Learn how to make your own mozzarella here - it's way easier than you think! These look so delicious! I've been trying to switch off the processed toddler snack to more homemade and healthy options. Looking forward to trying this out. Pinning! Would like to invite you to link this up at our Funtastic Friday party: Thursday's at 9:00pm est.